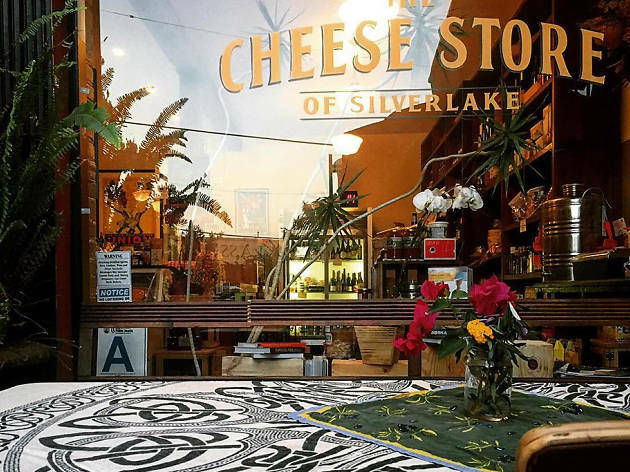 Original owner—and ex-tour manager for acts like Van Halen and Billy Idol—Chris Pollan was responsible for supplying the hipster hood with high-quality imported and domestic cheeses since 2002. After his passing in 2015, his wife, Alane, took over ownership, and has continued Chris' devotion to dairy. Find more than 300 cheeses on seasonal roation, plus olive oil, vinegars, jam, crackers, chocolate and more. Fresh-baked bread and affordable wines are also featured in the shop, and there are house-made sandwiches on offer from midday until they're sold out. Cheese and wine/beer pairing classes are offered monthly (be on the lookout for Grilled Cheese night, an ooey-gooey favorite). This is an adorable store! 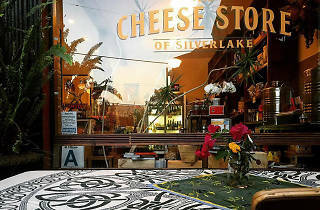 Here you'll find a variety of cheese, wines, breads, olive oils and olives. The people who work here are incredibly friendly and helpful. If you're lost or don't know too much about cheese, just tell them what type of cheese you're looking for, for what occasion or to pair with what and they'll have just the answer and will let you taste them until you find the perfect match.